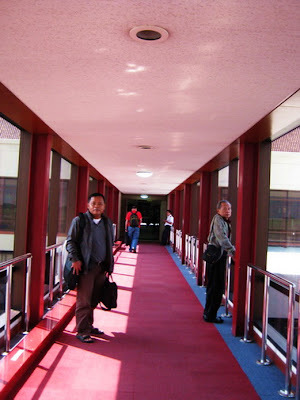 I captured my husband and my late father at Juanda Airport (Surabaya, Indonesia). After come out of the plane, you’ll walk through this red alley. Seeing my father on this photo made me cried. I miss him so much! You will cry again and again. It is only natural. At least the walkway was red!